Contributing to Extinction: The Petting Scam. 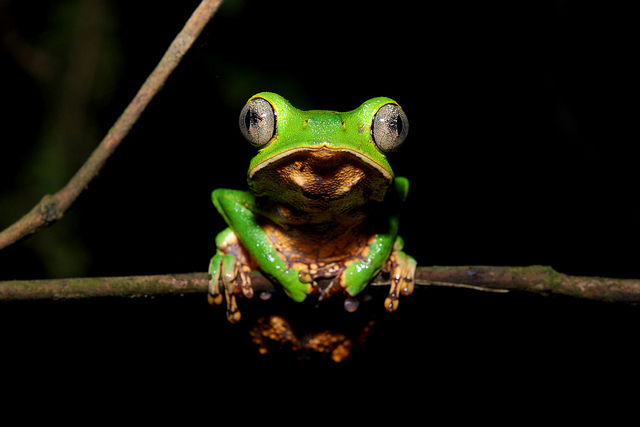 Over the past week and a half we have been investigating some nine conservation organisations and companies aligned to them organisations within South Africa. As of yesterday we began to make public them questions which were legitimate and fully above board. We have given two related companies known as Your Cheetah Spot and Ukutula Game Lodge over twenty four hours to answer the questions set out here on Facebook within this article. Any professional organisation that isn’t involved within the direct petting or game hunting of threatened species one would then think such questions would quite easily be answerable to place public faith into the domain. Unfortunately within the past hour it seems otherwise. Your Cheetah Spot a photography and alleged merchandise company, and what appears to be an organisation that is directly aligned with the promotion of petting cubs has not only failed to answer more than straightforward questions, but has evaded them by attacking us with silly nonsense seen hereto. Now we weren’t pointing fingers, nor was we accusing which can be read in all of our posts on Facebook hereto. While we respect that Your Cheetah Spot is indeed a company their main Facebook imagery and online articles states otherwise. 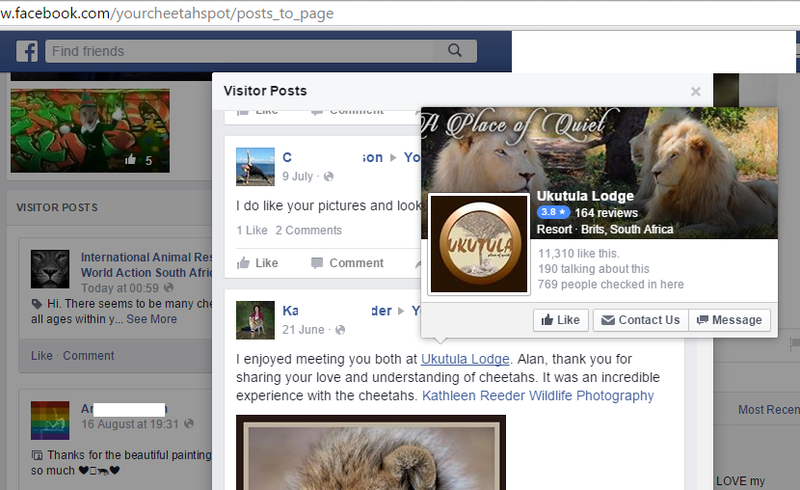 In the image below one can clearly see that the Your Cheetah Spot company is in someway aligned with the recently brought into question Ukutula Game Lodge, that appears to have some two or more Facebook pages online. 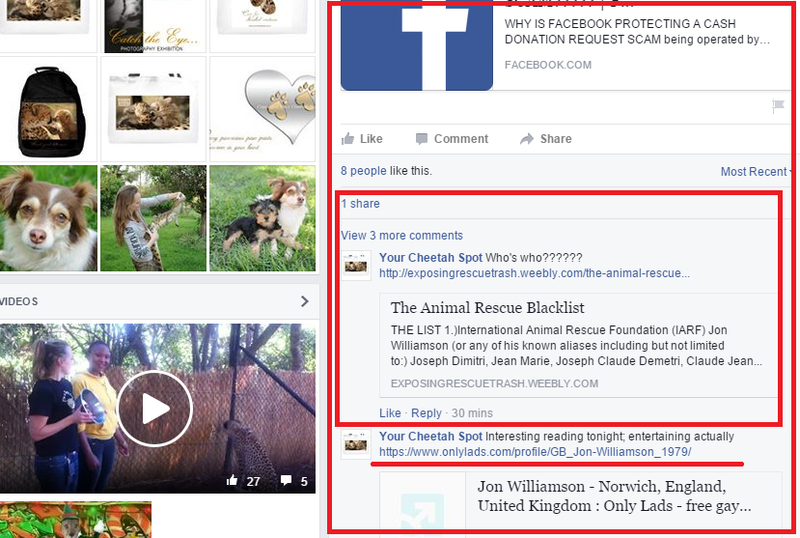 International Animal Rescue Foundation Africa is a company and not charitable. Meaning that we work for our money. From 2012 to 2015 we have become increasingly suspicions in relation to over ninety South African organisations being “conservation and hunting”. 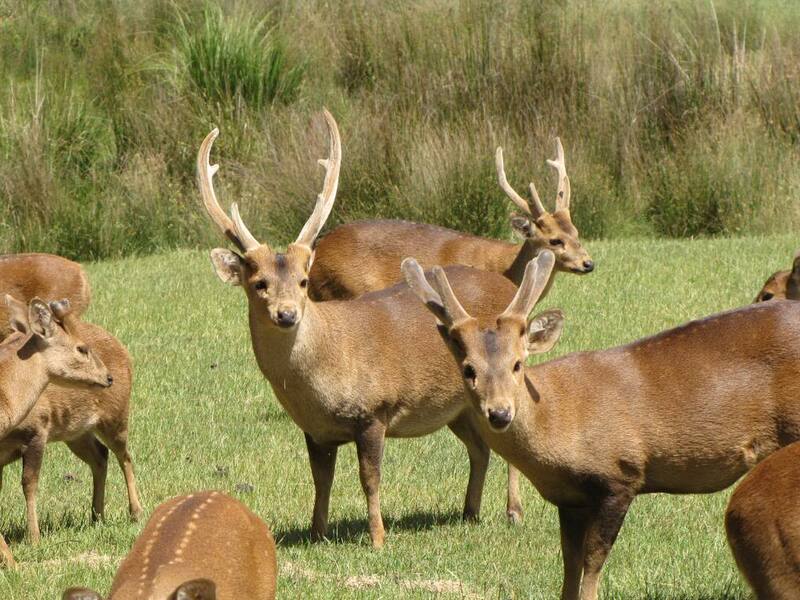 We equated that over R8.9 BILLION (ZAR) has been pumped into all of the ninety hunting and conservation organisations. However we’ve seen little if any conservation work, reduction in species threat status, reduction in anti poaching or increase of any species they are directly working with in the wild. As we are not a charity but indeed a giver 1/2 of these organisations fell within our (Funding African and Asian Wildlife Survival) program. While we have not provided monetary income to Your Cheetah Spot or Ukutula Game Lodge, we have directly and indirectly promoted their services or organisation[s] (2013-2014). That in turn has technically brought our company into disrepute in regards to malpractice and public misinformation, furthermore it was somewhat more embarrassing that members of the public also pointed this out to us too, and not forgetting some twelve key conservation experts. 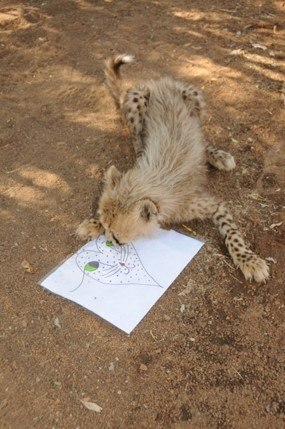 The image below shows that both Your Cheetah Spot and Ukutula Game Lodge are related in one way or the other. Ukutula Lodge does go under other names of Facebook too such as Ukutula Game Lodge Etc. On viewing Your Cheetah Spot company we were somewhat concerned with the vast amount of small cubs that are in our eyes being petted by the public, or by the staff in general from which we believe is at the Ukutula Game Lodge. Please view the images below. Please also note that it has been alleged that some of these animals are “sick and unwell” and cannot be released into the wild. We our now bringing that into question. 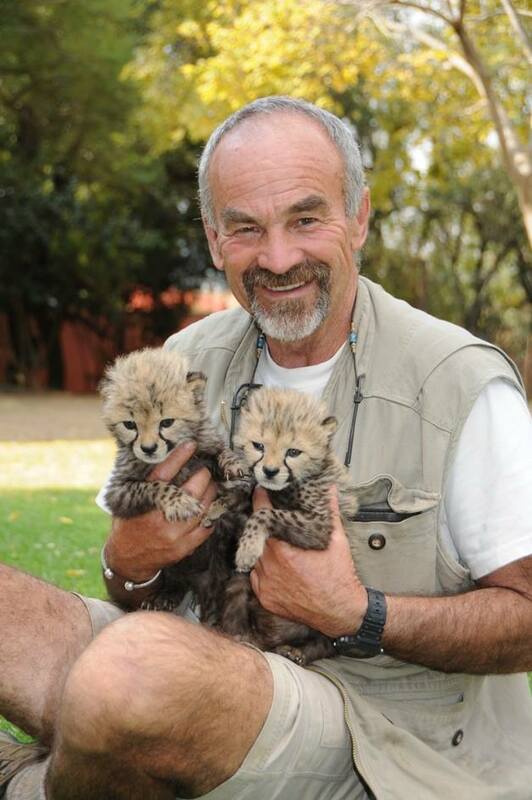 The male in the image above is known as a wildlife photographer and conservation researcher, of which he also with his students, friends and family helps at the Cheetah Research Center, while meeting up with members of the public at the Ukutula Game Lodge or Ukutula Lodge. When putting questions to Scottish born Alan Strachan and the user on the Your Cheetah Spot Facebook page we was then made aware of the current unprofessional behavior of Ukutula Game Lodge. Its at this very lodge that our suspicions have yet again arisen, of which you can view in the images below. 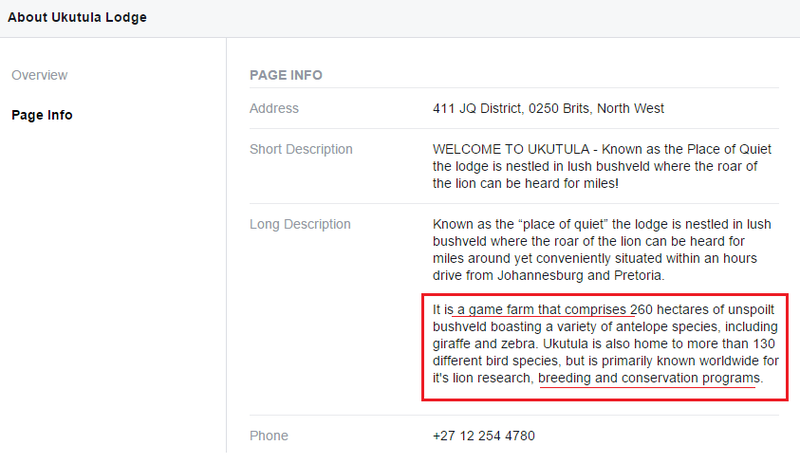 Interestingly when viewing more data on Ukutula Game Lodge we were somewhat perplexed as to how many big cats this farm is currently holding of which it states “is research”. Even more worrying is that the vast majority of these cats are/or were all cubs, all of which are being bred on a “game farm”. Please view the data below. Now just to remind the millions of readers that tune into our environmental investigations news site what a game farm is, we have made it very simple to read and understand for you to come to your own conclusions. Please see the image below. 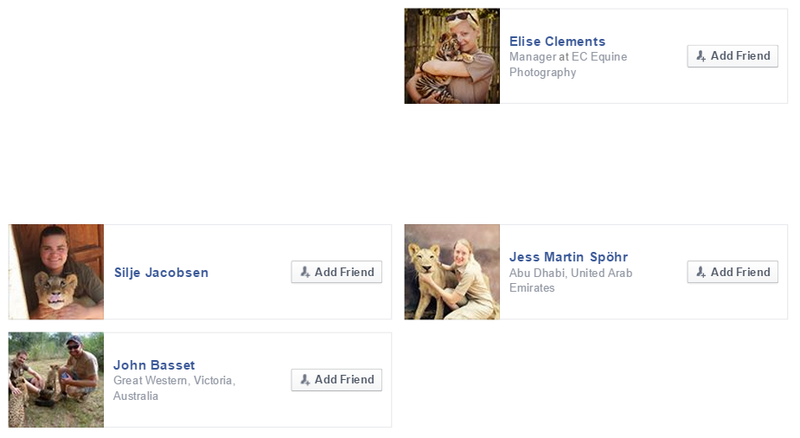 A further suspicion that was then immediately raised by the External Affairs investigative team was the vast majority of friends on Mr Strachan’s Facebook friends list that are all (holding or petting) cubs, yet there seems to be no mothers in sight, please see the image below. Any good professional conservation teacher, conservation organisation, research center, or reserve would not under any circumstances allow the direct petting of any big cat cubs. 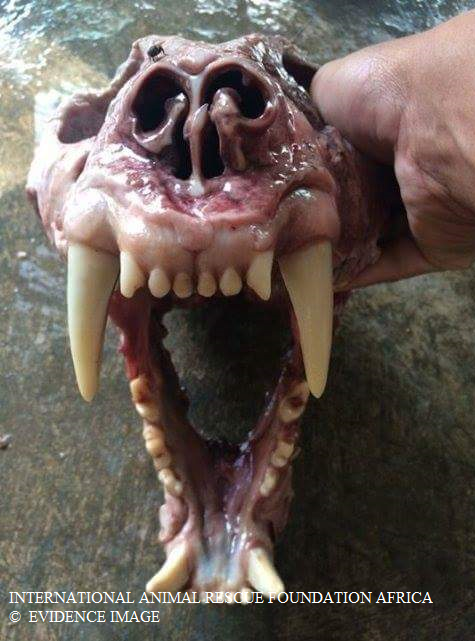 The potential for virus and disease to emerge and not forgetting the removal of the cats natural hunting instincts would severely be detrimental to the animals health. So on viewing the two parties being that The Ukutula Game Lodge and Your Cheetah Spot company that boasts years of experience then why are we seeing such behavior? Furthermore on questioning Your Cheetah Spot company they categorically stated that they hadn’t released any animals in to wild since . Yet they also stated to the CEO that they were just a simple photography and gift company. International Animal Rescue Foundation Africa asked some nine very basic and straight forward easy to answer questions. The organisation has waited and waited, the questions were stern but not abusive. However it would appear that on asking such straightforward questions “Your Cheetah Spot company” has not only become abusive but have shown just how hateful of homosexuals they are (again clutching at straws and trying to turn the table onto us). See the screen shots below. So when basic very polite questions are asked not only are we spat at with trolling nonsense from hunters and deluded pseudo activists whom have created these articles in the image above, the Chief Executive Officer is then spat more abuse at insinuating that he is gay and obviously goes under many other names too. And as yet, still there is no answers to our questions. Linda whom runs the Facebook page Your Cheetah Spot stated that the vast majority of these animals cannot be released back into the wild. The kind lady also stated that many animals are sick or injured. Furthermore Linda stated that there is not enough room to simply release Cheetahs back into the wild within South Africa. As a more than competent and professional environmental company there is room, and there are also many active reintroduction programs over the border. In our own opinion these animals are not being released as then that would mean a loss of revenue. Furthermore if these animals are being bred for science, what happens to them after the research is up. Lastly as you may all remember Cecil? Cecil was one of many Lions that the Oxford University Lion Research Center studied, oddly IN THE WILD! 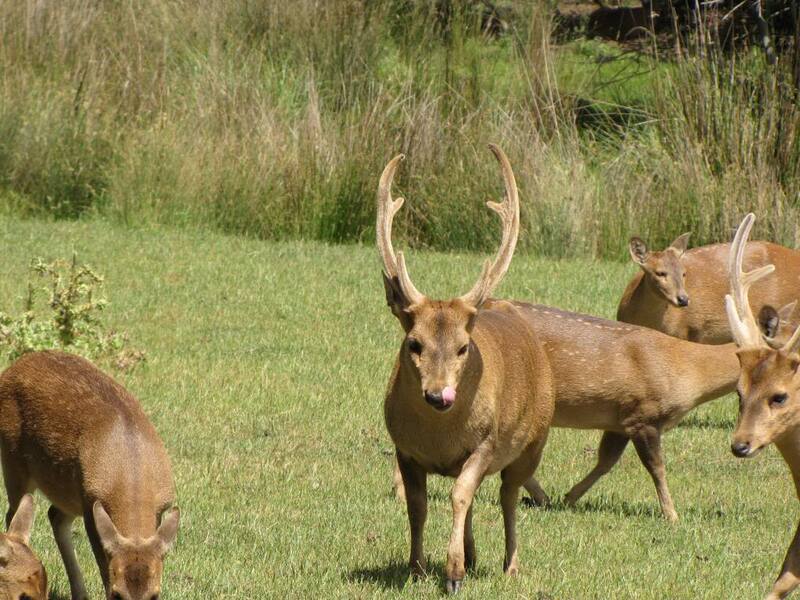 Reintroduction programs have been very operational within Swaziland for some years. Furthermore South Africa is not detached from the continent. Bordering you have Botswana, Namibia, Zimbabwe, Mozambique and finally Lesotho with Swaziland in the far right. So the excuse that these “many small cubs” that are new born and are most certainly not sick, old, injured (in most cases) cannot be reared in accordance to a professional captive breeding program is utter nonsense. Just to remind you – Linda whom is aligned with the You Cheetah Spot company stated that the last release was back in 2007 of any Cheetahs which we do believe was in the KWN. 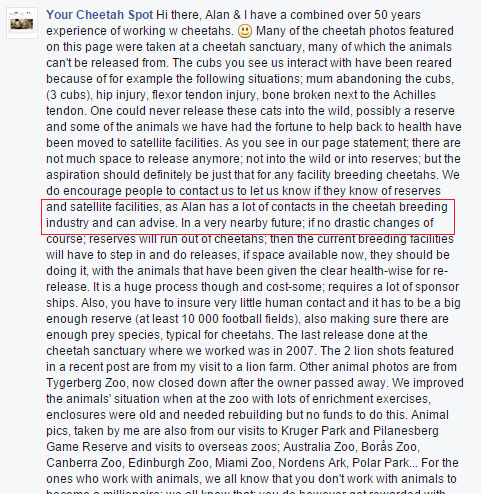 A further concern is that Linda stated Alan Strachan (experienced photographer and author) has many contacts within the Cheetah Breeding theater, see image below. The comment above is just a contradiction of what is being viewed at the Ukutula Game Lodge of which Alan Strachan visits regularly such as “you have to make sure that there is very little contact with humans” “The last prey release was back in 2007”. If these contradictions do not spring up red flags to you then they should. Swaziland has been the center for many Cheetah releases over the years as listed on the International Union for the Conservation of Nature’s website. Furthermore the sheer fact that in the vast majority of Mr Strachan’s images on his Facebook profile that depict “cub petting” and on their very own Facebook page is also somewhat concerning. 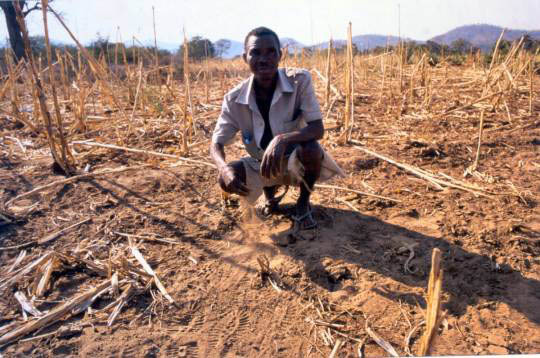 Below is a list of common lies or misinformation breeding, research and farming centers will try their utmost best to tell you. 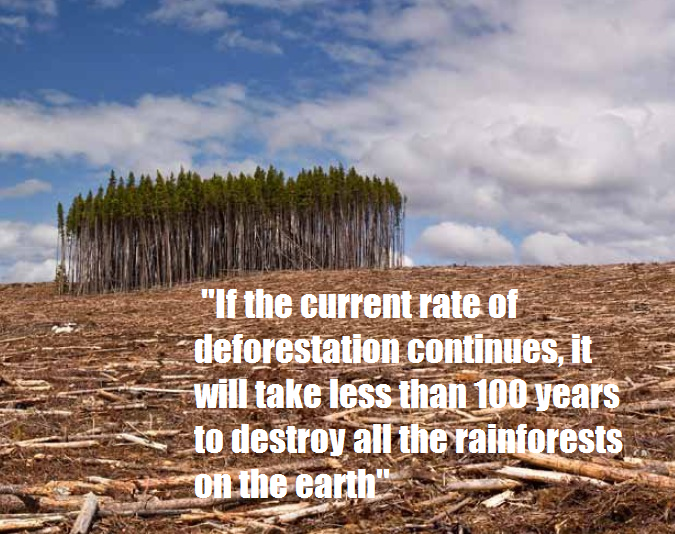 However at the end of the day its down to you to undertake your own research. 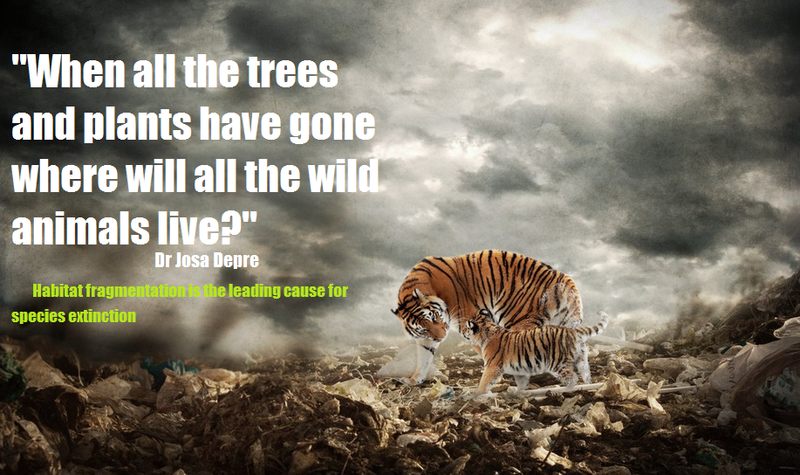 Why are there so many cubs, why have there never been any releases of animals into the wild, why are there never no mothers seen with the cubs, why did the breeder or the supporter of a breeder state that these animals cannot be released back into the wild in South Africa..The simple answer to that question would be (mass loss of profit). Again we’re not putting words into your mouths, we are though asking you to please open your eyes, question, look around. 3) That it is safe for the cubs and for humans, and legal, to allow contact with cubs from when they are only a few weeks old to when they are six months or more old. 4) That the exhibitor must keep constantly breeding and using the cubs to make money because that is the only way he can support the adult animals he keeps. 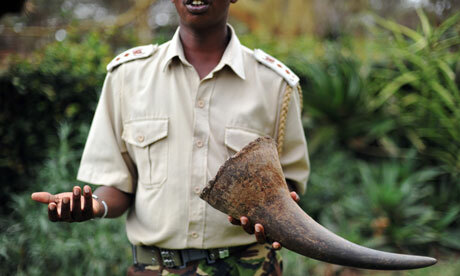 5) That the exhibitor is doing this to promote conservation in the wild. 7) That the cubs will have good homes after they get too big to be used to make money from petting. The images and evidence that is seen on one of the nine alleged conservation organisations that are either directly or indirectly involved in the promoting of petting or in this case “science and research”. Have shown little evidence of anyone of these animals actually being released into their native wild. We DO NOT buy the excuse that states there is little room in South Africa to release these animals back into their native wild. Africa is a continent and South Africa is most certainly not detached from neighboring countries. South Africa borders Botswana, Namibia, Zimbabwe, Mozambique, Lesotho and Swaziland. Swaziland is one country of particular interest as many Cheetah reintroduction programs are happening within this country. The Cheetah Spot company also made public that Mr Strachen has many contacts with “Cheetah breeders” so why are we not seeing reintroduction, but more ‘petting’ of which these images are directly promoting the petting industry which in turn directly promotes the canned and non-canned hunting industry. If you would like to know more about felid petting one can view the link here supplied by the Big Cat Rescue. So as our questions haven’t been answered then we’ll reprint them here in a more orderly and professional fashion. On hitting the publish button the news letter will be sent to over 2,000 subscribers and over 6.1 million supporters respectfully. 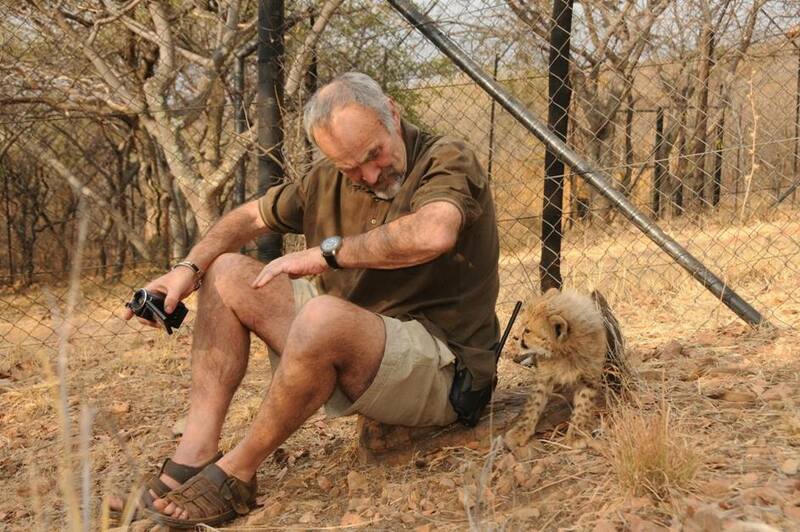 What relation does Mr Strachan and Your Cheetah Spot company have in relation to the Ukutala Game Lodge? Why are there so many cubs being shown on the Ukutala Game Lodge and Your Cheetah Spot company that are not unwell but more than healthy? Why are there so many cubs with no mothers being petted at the Ukutala Game Lodge, and where are their mothers? What happens to the cubs being shown on the Your Cheetah Spot company and Ukutala Lodge when you have reached maximum holding capacity? From reading, Your Cheetah Spot company states its nothing more than a photography and merchandise company. The company stated that they have only managed to release some Cheetahs into the wild back in 2007. So from 2007 to date you’ve obviously been in contact with more cubs, so how many animals are you holding on this farm, and where are the excess going too, one cannot just continue breeding and not releasing they are obviously going somewhere? 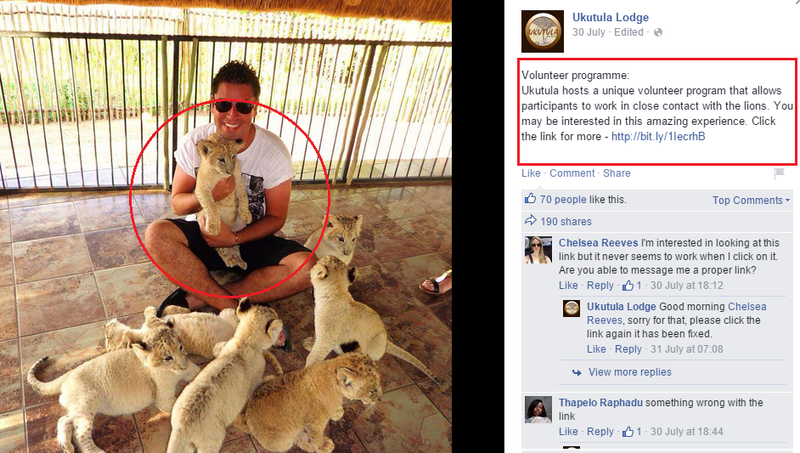 Are you Ukutula and Your Cheetah Spot company involved in game or canned hunting? Why are you “Your Cheetah Spot” company directly encouraging through photography the petting industry but then contradict yourselves by stating that these animals must have the bare minimal human contact? Are both Your Cheetah Spot company and Ukutala Game Lodge aware of the health implications to these animals via the direct handling, man-handling and petting of cubs and elders? Why does the Your Cheetah Spot company that stated 1. They are just a merchandise company then 2. agreed they are working directly with these animals believe that South Africa is the only country that these animals can be released into? Will you Your Cheetah Spot company and Ukutula Game Lodge make public the amount of animals that you have allegedly helped, released into the wild and how many have been deliberately bred? Why when questioned did you not answer the questions highlighted but then some 14 hours later placed untrue, derogatory and misleading data into the public domain asking people to share. When all we did was obtain the information from your own sites, your own staff, friends and online data? No professional organisation or individual would behave in that manner? How much money are Your Cheetah Spot Company directly making from petting big cats and cubs? How much money are Ukutala Game Lodge making from the direct petting of big cats and cubs, and where is this money going too. Why are you also promoting the “interaction with very healthy cubs” to foreign tourists of which is commonly known as a “Lion Petting Farm aka Hunting Industry”? The next time you want to abuse us you may want to remember that we are not propagating misleading lies about you. The data above has derived directly from you. All we have done is placed that all together, reviewed it and come to the conclusion that from questions 1-13 both of you are in some way directly involved in the petting industry which has direct relations to the hunting industry. For now we’re going to leave our concerns at this. We will though be going through all organisations and individuals aligned with us and, if found to be exploitation any animals will be removed and exposed by us. 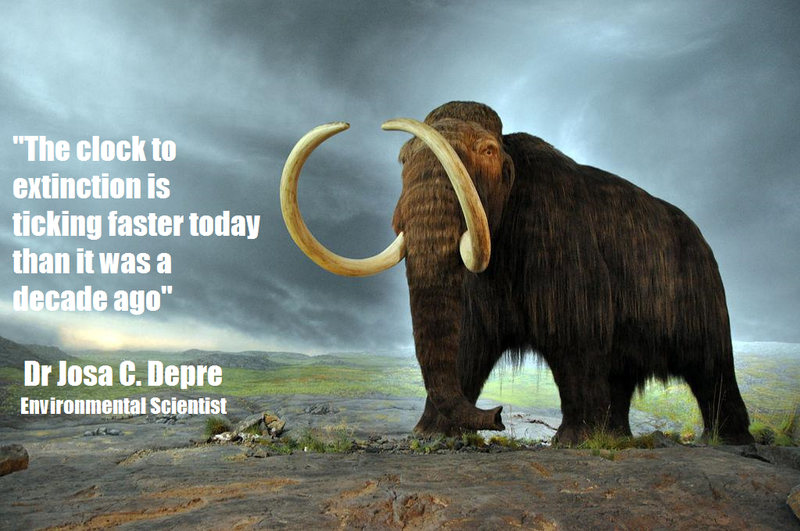 Lastly when you have emigrated to our country please respect our natural heritage. Environmental and Animal Abuse Investigations Authority Europa. Jose C. Depre: Chief Executive Officer. 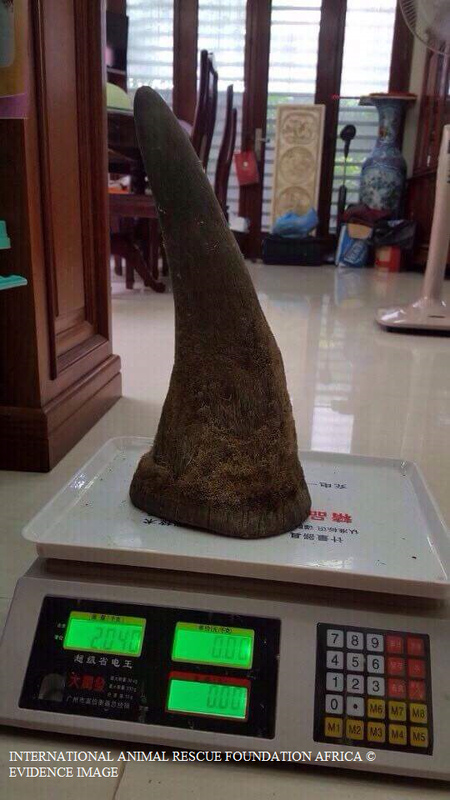 Johan Le roux: Anti Poaching / Illegal Animal Parts Trade Head Investigator. 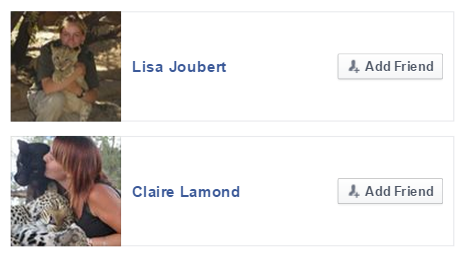 Michal Jooste: Endangered Species Watch. Pitier Van rens den: Chief Environmental Officer and Emergency Rescue.